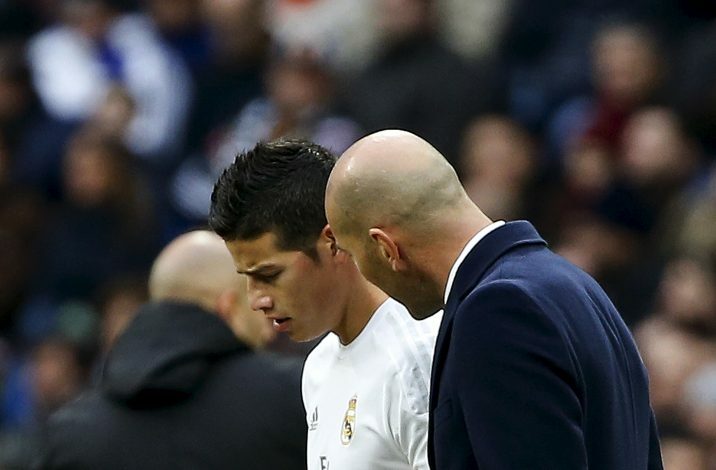 Another twist in James Rodriguez saga! The Sun reports Manchester United have once again enquired over the possibility of a Rodriguez deal in January, and have been straightaway informed it will cost £50 million to snap up the highly-rated Colombian. Manchester United are looking quite strong in the attack line behind the front man at the moment. Jose Mourinho has plenty of options, with Juan Mata, Wayne Rooney, Henrikh Mkhitaryan, Paul Pogba, Anthony Martial and Marcus Rashford all having a healthy competition for starting place. However, the possibility of bringing in another one of world’s biggest names may hint on United’s strategy to make a statement. But James Rodriguez’s father claims his son has no plan to accept any offers for a January move, rather he will stay at Real Madrid until at least the end of this season. The Colombian has been heavily linked with a move away from the Bernabeu, after falling down the pecking order since Zinedine Zidane took charge last year. Rodriguez has only made four starts for the La Liga giants this season, and was reported to have attracted interests from the likes of Chelsea and Manchester United after returning to Colombia for the winter break to chalk out his options. However, his father, Wilson, revealed that the 25-year-old would actually like to honour his Real Madrid contract.